Florida’s laws regarding workers compensation are constantly being debated and changed, but at present, every employer with four or more employees (whether full-time or part-time) must carry workers’ compensation coverage. Construction companies must have workers’ compensation coverage if they only have one employee. And all government entities must have coverage no matter how many employees they have. To know if the company you work for has workers’ compensation coverage, call the Employee Assistance and Ombudsman Office at (850) 413-1849. Filing for workers’ compensation can be a complicated process, so it’s important to know the basics if you have an accident. Document your injury in writing and report it to your supervisor (or someone in a supervisory position) as soon as you can. Do so even if the injury or accident seems minor. A small problem can lead to or develop into a more serious problem. 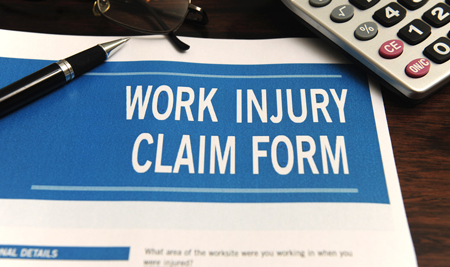 If you don’t document and report your injury to your employer as soon as possible after the accident occurred, you may forfeit your right to benefits. Employers are not responsible for your medical expenses or lost wages without prompt written notice reporting the accident or disease. If you work for a subcontractor, give prompt written notice of your accident or occupational disease to your direct employer and the general contractor. For general information, read the most current Florida Workers’ Compensation Guide. To ensure that you receive fair compensation through workers’ compensation, call Zweben Law Group today to schedule your free consultation to obtain more information about filing a successful claim.